Of the major LMSs, ExpertusONE offers the broadest learning management advancements with natively built mobile, gamification, meetings, social collaboration, reporting, eCommerce, xAPI/LRS and more. ExpertusONE reduces complexity in training delivery for multiple audiences—inside and outside of the organization—with a secure, enterprise-class LMS. The #1 ranked LMS (2012-2016) also features an open API library to extend learning with Salesforce and other systems. • Traditional HR/Compliance Training—Meet compliance needs with required and mandatory training and reminders. • Learning Commerce—Sell training to partners and customers. • Multi-audience Training—Serve internal and external audiences. • Sales/Field Training—Improve sales team effectiveness and field enablement. • Partner Certification—Certify and qualify partners to sell products and services skillfully and effectively. • Onboarding—Get new hires and franchises up to speed quickly. • Helpdesk—Improve customer support and track customers’ knowledge base better when handling support tickets. • Leadership Development—Set growth and development training paths, and enable individuals for succession planning. Shifting to an LMS that is designed for mobile use from the ground up is increasingly important for us. This was a smart choice for us because it fits in easily with other systems and resources, and the company keeps rolling out new mobile-oriented business functionality.Unlike other LMS systems, this is thoughtfully designed for multiple kinds of organizational users -- not just for our learners, but also for our administrators who need (and deserve) tools that make their job easier. Also, managers are well supported, with real-time reports to help them track status of their employees, collectively or individually, and communications tools that lets them follow-up, if needed, with anyone who needs reminders or coaching follow-up. This is all mobile, and synchronizes with the LMS, so you can work online or off with any functions, and not worry about it. Unlike other LMS systems, this is thoughtfully designed for multiple kinds of organizational users -- not just for our learners, but also for our administrators who need (and deserve) tools that make their job easier. Also, managers are well supported, with real-time reports to help them track status of their employees, collectively or individually, and communications tools that lets them follow-up, if needed, with anyone who needs reminders or coaching follow-up. This is all mobile, and synchronizes with the LMS, so you can work online or off with any functions, and not worry about it. Value is good, but there is increasing price pressure from other vendors who make it easy to get started with free trials. Would've helped seal the deal if they offered that kind of low-risk adoption path. The results we've seen have been phenomenal. 70% of our learners (mental health clinicians) intend to change their practice behaviors based on the role-play video training that we've delivered in ExpertusONE. The Expertus platform gives us the flexibility to customize reporting, branding and delivery to meet our LMS needs, but more importantly, those of our clients. The Expertus team has been responsive, and support has been excellent. People are at the core of any partnership, and Expertus is staffed by knowledgeable, strategic thinkers who understand the space that today's LMS' occupy for the benefit of tomorrow's learners. Please contact Expertus at info@expertus.com for ExpertusONE LMS pricing. 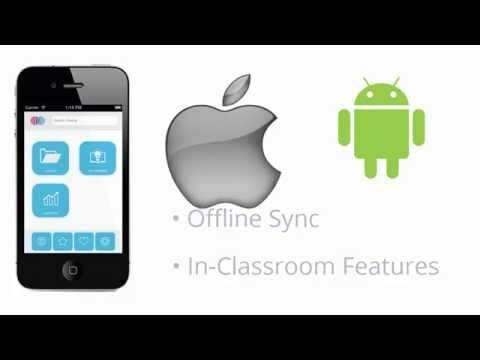 • Mobile—Complete LMS learning capabilities on mobile. The native ExpertusONE mobile app offers powerful features for learners, managers, instructors and executives. Learners can fully engage with content, the training catalog and social learning components from their device. • Streamlined—Refined to the simplest workflows to complete administrative and learning tasks. • Powerful—Enables admins to support several hundred to several hundred thousand learners inside and outside of the organization, in a secure, scalable, profile-based system that tracks all learning activity and makes data easily accessible with built-in reporting and an extensive API library. • Advanced—Offers the broadest, most advanced technologies of any enterprise-class LMS, including gamification, mobile, meetings, social collaboration, eCommerce, xAPI/LRS, Salesforce and more. • Secure—Built on open standards for a highly stable, scalable, fast and secure LMS platform that supports REST API integrations, Single Sign-On, encrypted data transfers and storage, with enterprise-class backup and redundancy. • Multi-audience—Built to support training inside and outside of the organization for employees, sales and field teams, partners and customers. • Lower Total Cost of Ownership—Reduces the overhead of managing and maintaining your learning management technology with straightforward management and administration. • Reduced Complexity—Manage the LMS and administer training with 30-50% fewer clicks than other leading LMSs. • Personalized—Profile-based to create a tailored and relevant experience for the learner, instructor, manager and admin based on a number of attributes. Below are some frequently asked questions for ExpertusONE LMS. Q. What type of pricing plans does ExpertusONE LMS offer? Q. Who are the typical users of ExpertusONE LMS? Q. What languages does ExpertusONE LMS support? Q. Does ExpertusONE LMS support mobile devices? Q. Does ExpertusONE LMS offer an API? Yes, ExpertusONE LMS has an API available for use. Q. What other apps does ExpertusONE LMS integrate with? Q. What level of support does ExpertusONE LMS offer? Q. Which apps is ExpertusONE LMS compared to most often?